The outskirts of Jabaliya. 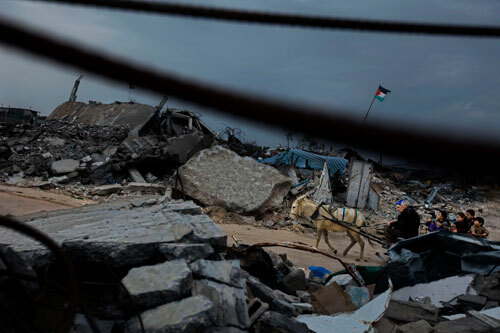 A lone palestinian flag fluters over the ruins of an entire neighborhood. The israeli tanks came first, then bulldozers and soldiers with explosives, going from house to house.